BLOOMFIELD, N.J. (WPVI) -- The story of a New Jersey woman desperate for help after her car was stolen over the weekend with her two dogs inside got a happy ending Monday. Breezy Bozik, of Bloomfield, posted photos and a plea on Facebook Sunday. She said her Range Rover was stolen out of her driveway around 5:30 p.m., and though it was recovered a few hours later in Newark, her two dogs were nowhere to be found. Bozik said she was going to dinner at her mother's, and that she threw the dogs and her purse into the car before running inside the house to get her boyfriend. She said she came back outside within three minutes, and the vehicle was gone. She said the car was not running. 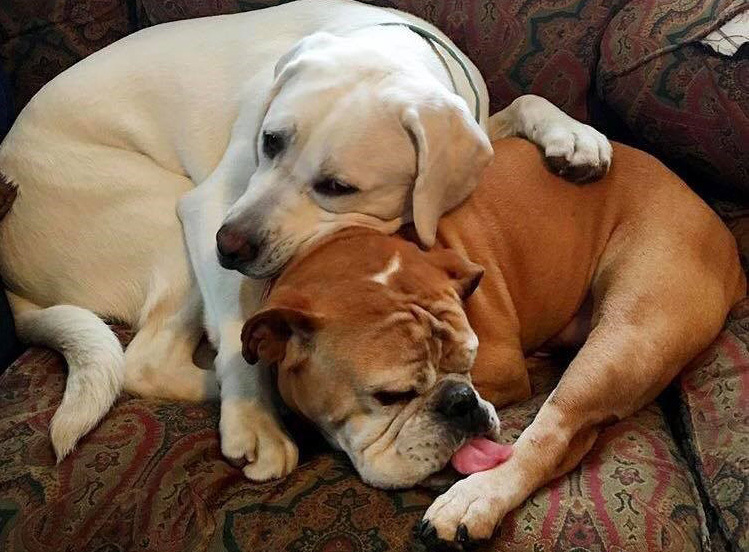 A good Samaritan spotted the dogs and got the word out on social media. Both dogs appear to be in good condition. When and where the dogs were found have not yet been released, but authorities said the pooches were dumped after the theft. 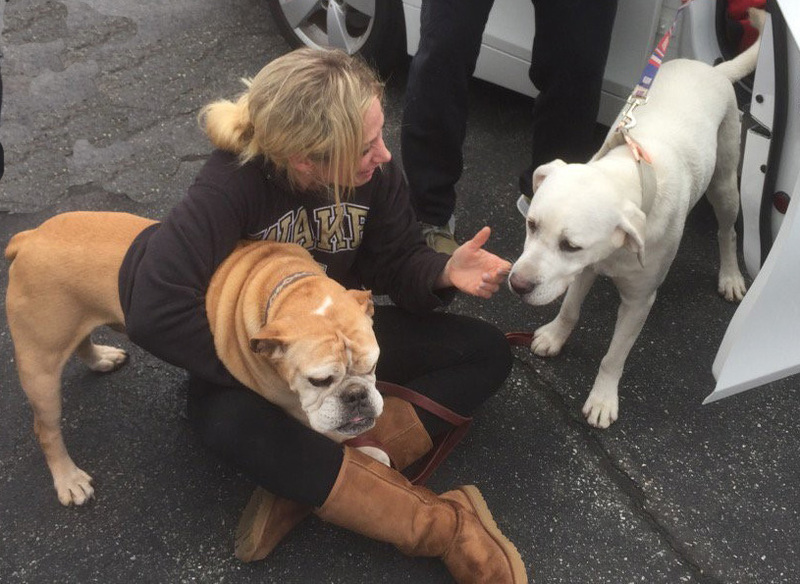 They were reunited with their relieved mom late Monday morning, and the tears were flowing. 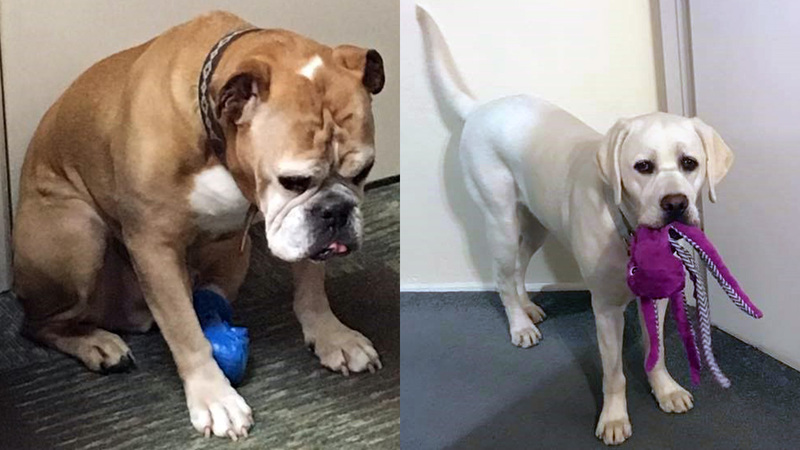 Nova is a 1-year-old female white Labrador, while Dude is an 8-year-old white male bulldog. Both dogs are microchipped and were wearing collars. "They got the dogs back," Bozik's mom, Debbie Fineman, said tearfully. "I can't tell you, my daughter would have been broken. I don't know what we would have done." Bozik had filed a police report, and investigators examined the Range Rover overnight for prints. The vehicle was also returned to her Monday morning. "I told my daughter yesterday that, you know, there's more good people than there are the awful person who took that car and took those dogs," Fineman said. "There's way more good people in the world, and that just shows you there are." There is no surveillance video of the theft from her house, but authorities were looking around where the SUV was found in Newark to see if they can identify any suspects.